KFC has launched a limited edition gravy-scented candle in a bid to cheer up customers on Blue Monday. 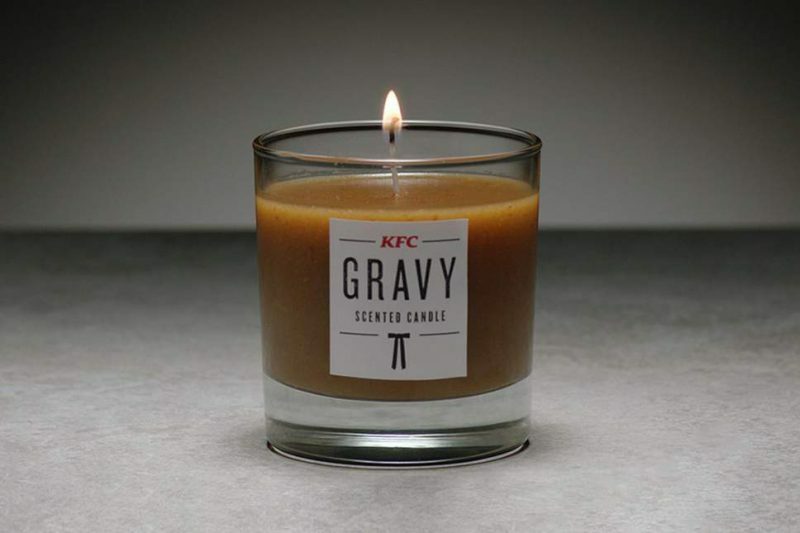 The artisanal KFC Gravy candle is infused with the ‘soothing aromas’ of their world famous gravy. There are 230 available on a first-come, first served basis. For those looking to fully immerse themselves in the ultimate KFChill experience, on the dedicated site to help fast food fanatics find their zen to the sound of sound of simmering gravy, falling fries and frying chicken – www.kfchill.co.uk. Previously, the fast food chain has released chicken scented candle and a bath bomb with the fragrance of their famous chicken seasoning, but this is the first time a KFC scented product has been released in the UK. KFC are not the only brand to have released novelty scented candles. Back in 2015, in the lead up to Christmas, Pringles released a pig in blankets scented candle and, in a slightly more macabre entry, horror gaming series Resident Evil brought out a candle that reportedly smelled of blood. You can read more about these past campaigns here.